Ohio coaching legend Paul Brown said he wanted to create "the New York Yankees of pro football" when he assembled the Cleveland Browns from scratch in 1946. Despite his ambition, not even the future Hall of Fame coach could have foreseen ten league championship appearances and seven titles in the team's first ten years. Since their first game, the Cleveland Browns have come to symbolize power, excellence, and gridiron dominance. 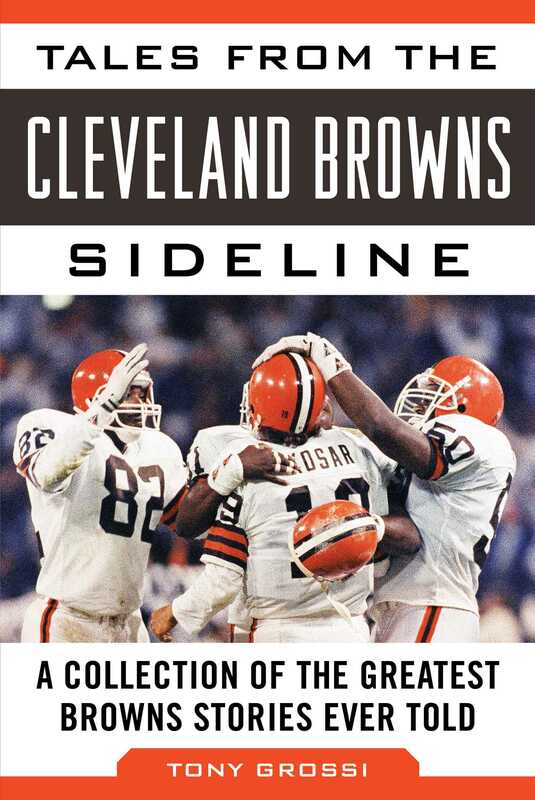 Now fans of one of the NFL’s most storied teams will recapture all the excitement and glory of Browns football in this newly revised edition of Tales from the Cleveland Browns Sideline. Cleveland native and veteran football writer Tony Grossi recalls the personalities that sowed one of the NFL's proudest traditions and the characters who have continued to grow it. Fans will discover the unlikely origin of the Marion Motley trap play, the scout's inside story behind "the mad dog in the meat market,” the insult that launched Brian Sipe's rise from a thirteenth-round draft pick to the league's Most Valuable Player, and so much more. From Jim Brown to Bernie Kosar and up through the modern era, this book captures the colorful characters who wore the plain white uniforms and blank orange helmets like never before.